A few weeks ago I took you guys behind the scenes of Manchester Arndale's SS16 shoot and now it's live, I want to share that with you too. Manchester Arndale and Manchester in general have played a big part of my life. Although I'm from Derbyshire, so people often mistake that as Derby being my 'city', I'm far closer to MCR or 'Manch' as we called it growing up. It's the city where we'd come to shop, eat, drink and play hence why after 15 years of training or driving in, I finally moved. It was also to do with work/my blog but yeah, it wasn't a tough decision to make and one I definitely don't regret. As a loyal and big fan of Manchester Arndale and the people who work tirelessly in the background to make it the success it is, I've had a great time collaborating with them on this campaign and what it stands for. Made For Me immediately takes the trends and asks you to make them you. It may be that abstract acids is a bit out there for you but you can rock a bold lip from Superdrug that means you're working it in your own way. Or it could be that you're normally a bold colour pop gal but want to link the monochrome vibe into your style with a staple black tee teamed with a cobalt blue skirt. The great thing about Manchester Arndale and the great thing about fashion in general is that YOU CAN. 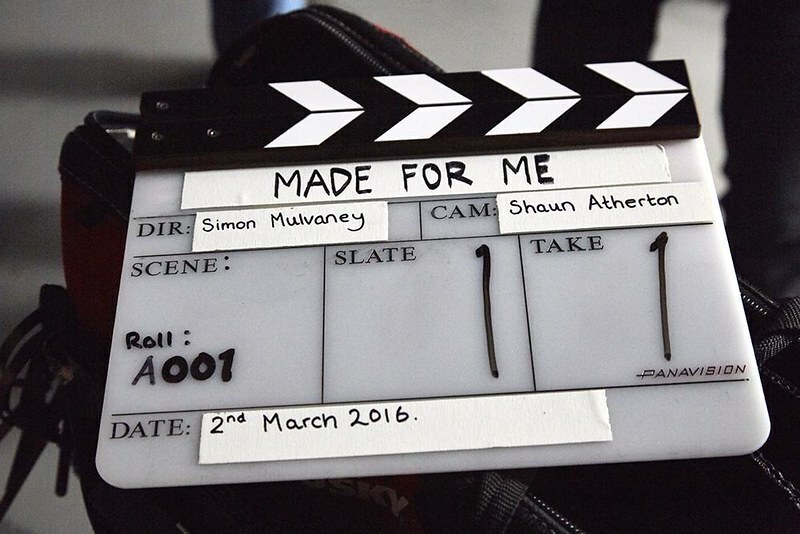 Made For Me is your rules, your style and with 100s of stores to choose from in the centre, the way you wear it is up to you. The guys at MA have used its hometown city as the backdrop for the campaign and if you're from here, you only have to walk from district to district to spot the eclectic mix of styles, outfits and flair. Refinery 29's (the creative agency behind the campaign) Darren Price echoes this: “Manchester has a diverse fashion culture and this campaign provides an ideal platform to demonstrate how Manchester Arndale is relevant to everyone and their style choices." And the best part is, we want you to get involved. 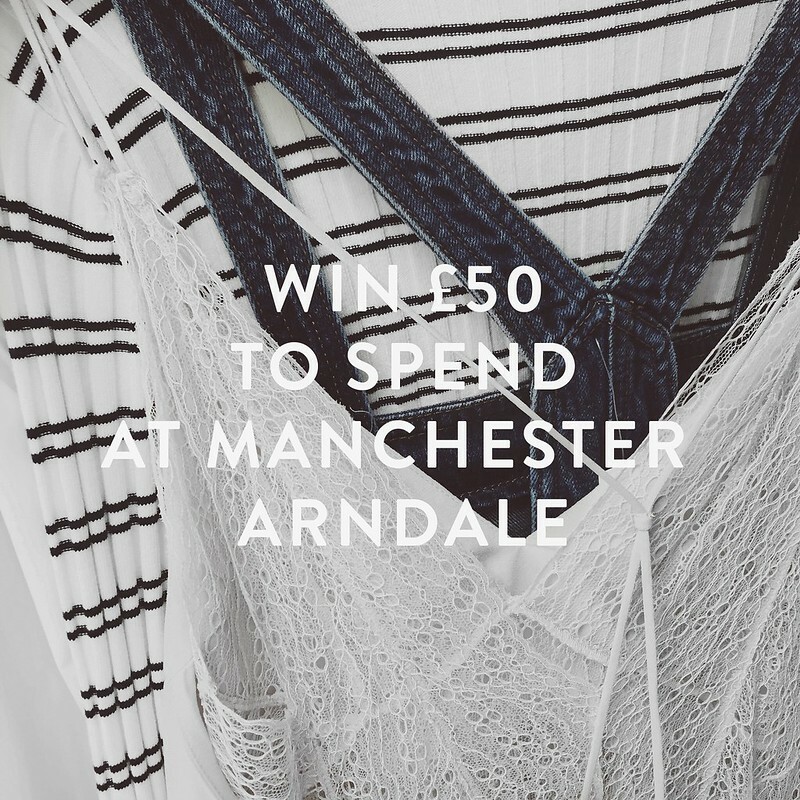 I'm running a comp on Twitter where you can win £50 to spend at Manchester Arndale (you'll need to be able to pick the voucher up in the centre). Head to my Twitter page to enter (I'll keep the comp pinned at the top!). The winner will be picked on 30th April 2016. In need of some shopping inspo? Check out the campaign video below. If you missed my previous BTS post of the shoot - you can find that here.